MCN Chief Road Tester Trevor Franklin is in Barcelona to get a first taste of the sauciest 250 sports bike in years, the Euro-spec, fuel-injected Kawasaki 250R Ninja. 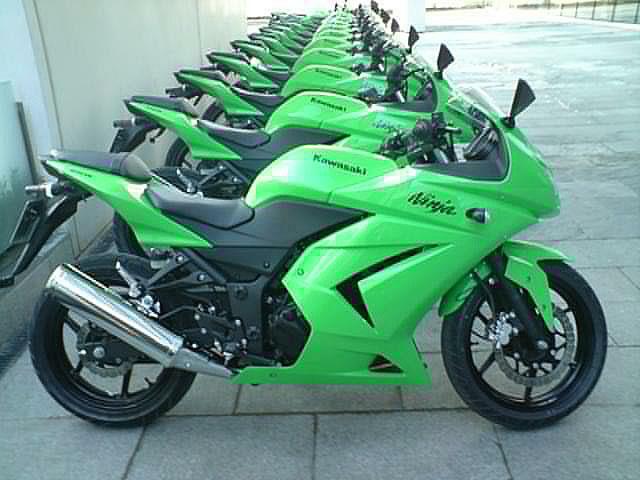 “Kawasaki is billing the quarter litre Ninja as a city commuter whose riders can attack back roads as and when they please. “So far it’s proved to be agile and easy to ride through Barcelona’s badly congested streets and perimeter roads. Trevor’s full story on the Kawasaki Ninja 250 will be in MCN soon.